Priyanka Chopra is the diva who is known on global scale today. Her Quantico series is literllay watched in every part of the world. And this has enabled her to gain a fan base spanning the universe. The Miss world beauty pageant winner has achieved tremendous feat / milestone her journey is epic and incredible. Priyanka would soon enter the circle of elites in Hollywood and would get a lot more offers. 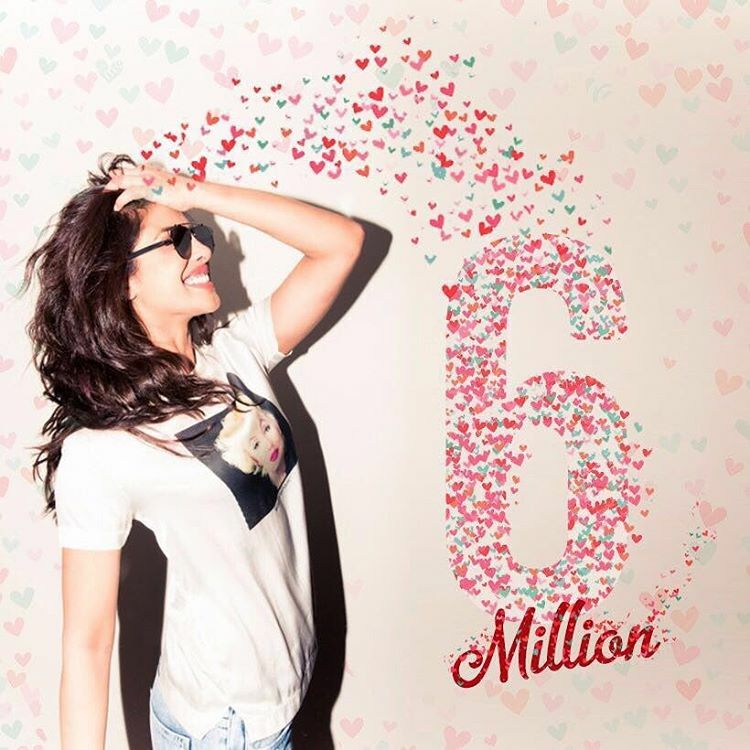 Priyanka has gone place achieves 6 Million followers on Insta.